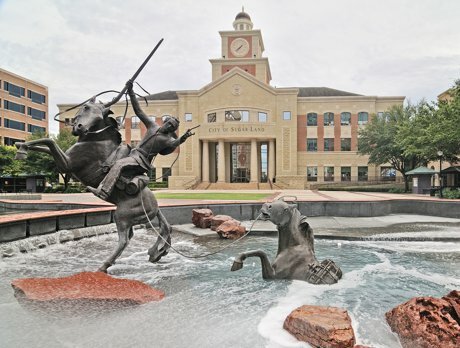 Sugar Land, Texas is a place where a wide range of people from any walk of life can come to live or visit and find something perfect for them. The Houston Museum of Natural History at Sugar Land is a place where many Sugar Land home owners and tourists go to learn from the fascinating exhibits. The museum features fossils, dinosaur bones, an observatory, planetarium, butterfly garden, and much more. For more information on this wonderful museum, click here. Constellation Field is the home to the Sugar Land Skeeters - a minor league team who has had famous players such as Scott Kazmir and Jason Lane. Events other than baseball happen at the stadium as well - for example, they house a variety of concerts and at Christmas, have festive light shows. Sugar Land real estate owners love to come to Constellation Field for the entertainment, friendly staff, and low prices. If you are looking to get more into nature, a favorite of Sugar Land home owners is the Justin P Brindley trail. One can walk their dogs, hike, mountain bike, and just enjoy the beauty of the forest around them. It runs along the gorgeous Brazos River. Hungry? Two restaurants that Sugar Land real estate owners can’t get enough of are The Middle Spoon, serving classic American dishes with great desserts, and The Sauer Kraut, a German food truck that serves delicious melts and burgers. For information on these two amazing eateries, click here or here.